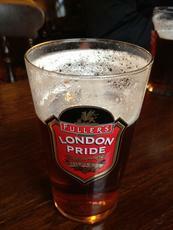 Fullers pub, located only a few minutes away from the High Street but feels much further. The HSB is always superb condition and they usually have at least four Fullers/Gales beers on. Had a refurb early summer when new people took over which lost some of it's old school charm. The beer garden across the road under the flyover is to be experienced. Best pub in Croydon, never had a bad pint there. Not the cheapest place (£3.80 for HSB, January 2016) but quiet, relaxed, friendly. 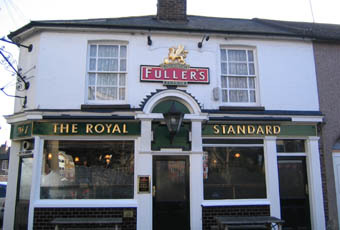 Popped in the other day, how nice that The Royal Standard has picked up again and the new landlord is running it as a Fuller's pub with all beers available on the pump and the optics back where they should be. No rubbish radio stations on the tv in the background - phew!